By using this site, its content, and information you agree to assume all risks associated with your use or transfer of information. You agree to hold the IJEDR.org harmless from any claims relating to the use of this site. IJEDR.org comes without warranty of any kind. We do not warrant that the site will operate correctly or that the site or its server is free of computer viruses or other harmful devices. Use at your own risk. In no event shall we be liable for any use of the IJEDR.org website or information derived thereof. I do not assume any legal liability or responsibility for the accuracy, completeness, or usefulness of any information disclosed in IJEDR.org. Although every effort is made to ensure the correctness of information submitted for publication, the website may inadvertently contain technical inaccuracies or typographical errors. Information may be changed or updated without notice. 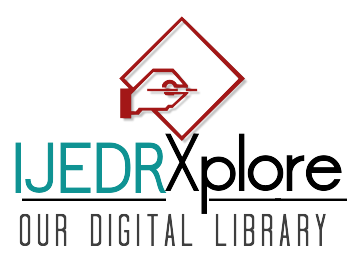 IJEDR.org may also make improvements and/or changes related to publication methods and the other related data described in this information at any time without notice. IJEDR.org assumes no responsibility for errors or omissions in this publication or other documents that are referenced by or linked to this publication. 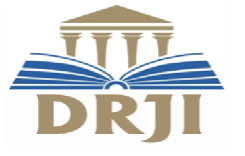 All research paper/manuscript published in the IJEDR.org undergoes peer review to ensure fair balance, objectivity, independence, and relevance to educational need. Neither the editors/reviewer member of the IJEDR.org, nor any other party involved in the preparation of material contained in theIJEDR.org represent or warrants that the information contained herein is in every respect accurate or complete, and they are not responsible for any errors or omissions or for the results obtained from the use of such material.